Up Close and Personal is a portrait and book project for 2010. The project is a celebration of the human face. 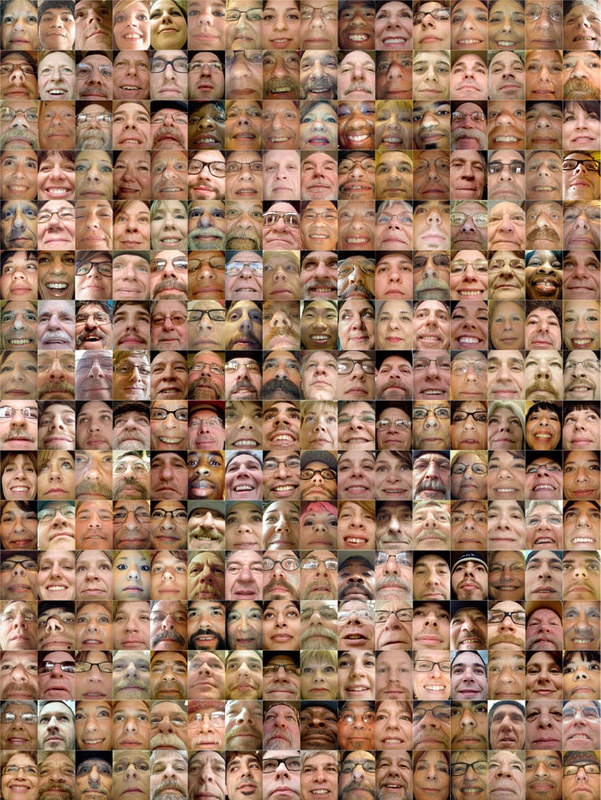 There will be 484 individual portraits taken from the same vantage point, from below the lips to the forehead. Ironically the individuals photographed may appear unrecognizable. The book will contain 60 color plates, 0f which thirty will be montages of 16 portraits and thirty individual portraits. Please stay tuned for future posts.